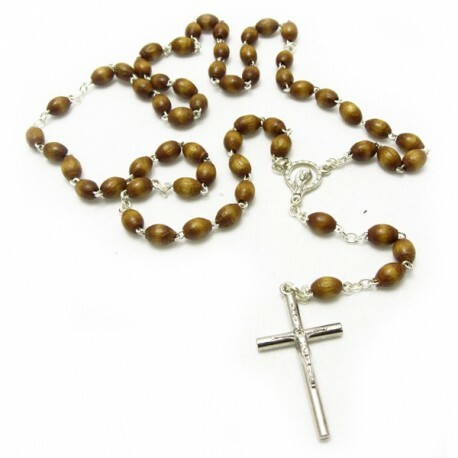 Package of 12 wooden rosaries with metal binding and crucifix. 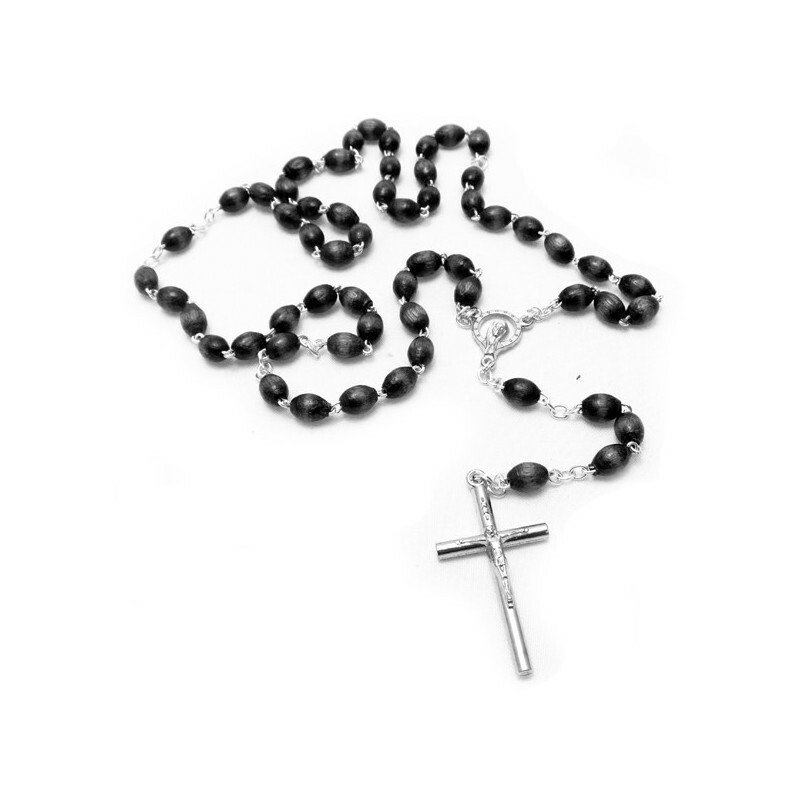 Package of 12 wooden rosaries with metal binding and crucifix. Available colours: natural colours and black. Golden or silver-plated glazed ciborium.